Western Australia. This vessel is fitted with the sandStopper™ and quicKutter™ bearing protection system. In the foreground are two fishing trawlers. 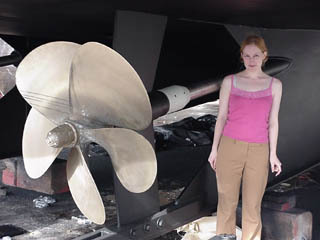 The sandStopper™ is snugly fitted on the shaft of the eco-tourist vessel “True North,” with Linda to provide scale. Transporting True North to the launching pen. True North about to be lowered into the launching pen. ADVENTURE CRUISE INDUSTRY REACHES NEW HEIGHTS! North Star Cruises Australia, the Kimberley region's longest established adventure cruise operator, has announced plans to construct a new vessel. True North II is offering increased size and luxury whilst still having the operational capability to access shallow river systems. 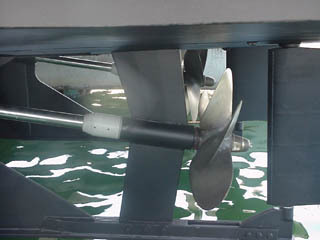 One of the many innovations is protecting its environmentally friendly water lubricated propeller shafts and bracket bearings from the abrasive effects of regularly traversing as well as manoeuvering in very shallow water. 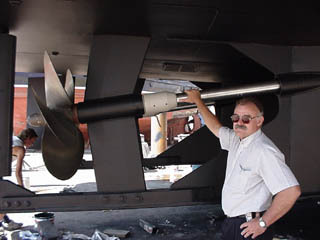 After the successful introduction of Quickwater Marine's new sandStopper(TM) and quicKutter(TM) technology on the earlier vessel it was logical to specify the technology for True North II. At 50 metres, True North II, will replace the 34 metre True North as well as catering for 36 passengers in absolute luxury. True North II is being built by Image Marine who also built the first True North. Image Marine is a division of Austal Ships, builders of Greg Norman's Aussie Rules. The luxury exploration vessel will be launched in time for the 2005 cruise season and, at a cost of $12 million, will represent the largest ever single investment in Western Australia's marine tourism industry. The announcement follows the outstanding success of North Star's Kimberley Wilderness Cruise which has become one of Western Australia's most well known tourist attractions. The 12 day/13 night cruise takes in the remote Kimberley coast between Broome and Wyndham and unlike more traditional cruise options, focuses on activities and exploration. 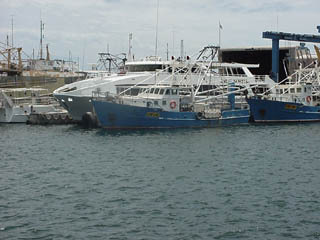 Numerous tender vessels offer daily small group excursions with activities that include fabulous fishing for barramundi, hiking, wildlife encounters, ancient rock art viewing and swimming in billabongs Uniquely, the cruise also features an onboard helicopter which allows access to wilderness areas that remain largely unexplored. 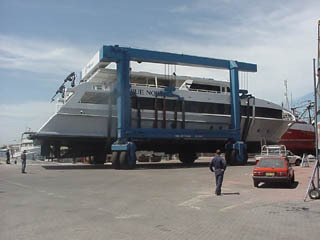 North Star's General Manager, Mr. Peter Trembath, said the company had resisted the temptation to build a larger vessel. "We are very much aware of the need to maintain the qualities of our existing products; our passengers are the first to tell us that our success is down to personalized service and the ability to provide access to wilderness without the crowds that are normally associated with larger vessels". Mr. Trembath claimed that the new vessel will "raise the bar even higher in Australia's emerging adventure cruise industry." Having commenced operations in 1987, North Star is considered a pioneer of the luxury adventure cruise industry. They have won both state and national tourism awards and now offer adventure cruise options around the Australian coastline. To download high resolution photographs of "True North" please go to the media section of the Austal website at: http://www.austal-ships.com/media/index.cfm Prints are available on request.